PPA Team is happy to announce agreement beween our client Davor Zravkovski and AEL Limassol FC. 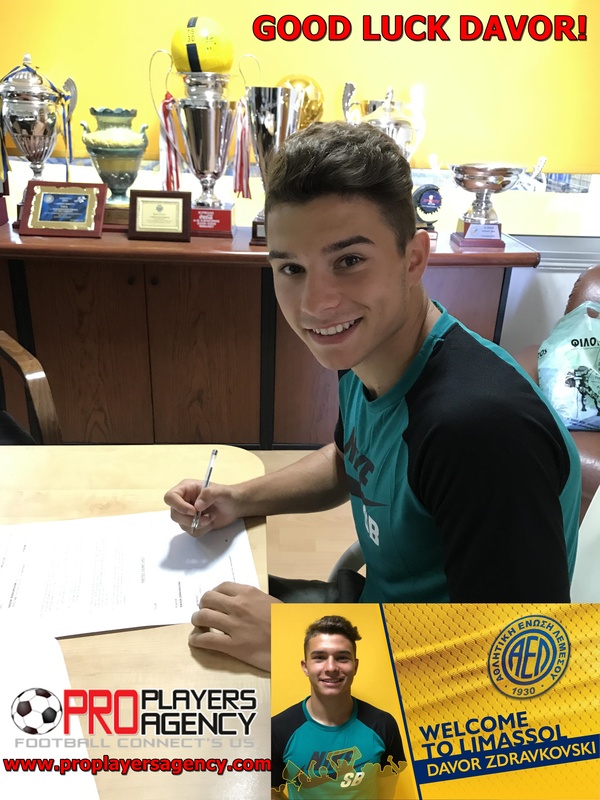 ProPlayersAgency is happy to announce that our client, U21 national team player of Macedonia Mr.Davor Zdravkovski have signed for AEL Limassol FC. Davor agreed 3 years contract with option to extend for 2 another years! PPA team wish Davor all the best and lot of success at new club!